In this post, project organiser Abigail Tazzyman reflects on why Moving Beyond Boundaries was first conceived. The Moving Beyond Boundaries: Gender, Knowledge, History project came about in part because of a fundamental belief that what we are taught throughout all levels of education has a lasting impact on our lives and world views. A belief that how we see groups depicted and represented in the past informs and influences how we see and value their role today. ­­I wholeheartedly supported the recent and successful campaign to have at least one woman represented on British bank notes and I have been genuinely concerned by the proposed changes to the school history curriculum. Why? Because I believe that who and what is taught on the school curriculum matters as does who we acknowledge and celebrate nationally. The study of women’s history at all levels of education is often patchy. Women usually feature as token gestures in the form of the odd well-known figure, set aside from mainstream or ‘real history’. This deprives students from learning about the experience, success and struggles of women from the past and of their contribution to society, of fifty percent of the population. It tells them that women aren’t valued in our society and implies that they didn’t really contribute in any worthwhile way. By exposing pupils to a wide range of women’s history, not just the usual elite suspects, we aim to open up their understanding of the past lives of women, to value their contribution to society and most of all to enable this group of secondary school students to engage critically with their own curriculum and gain a greater insight on issues of gender representation and inequality. In recent years there has been a growing emphasis on and demand for researchers to demonstrate the impact of their work. For those of us in the social sciences and arts and humanities a key factor of this is public engagement, getting our research into the public consciousness and making it accessible to those beyond the academy. Public engagement is, I would argue, rewarding and beneficial for the researcher as much as those they engage with. It is a way to make more people aware of issues which you as a researcher care a great deal about. It often offers researchers a fresh perspective, and enables people to access knowledge that they may never otherwise encounter. Moving Beyond Boundaries was conceived as way to make tangible impact, not only by sharing our research on gender and women’s history to a new audience, but through measuring, recording and evaluating the students’ responses. The project aims to use these responses to frame our own research and rethink the way women’s history is represented on the curriculum. In this first post Elizabeth Biggs, one of our post-grad workshop facilitators, discusses the presence of women in ‘all-male’ medieval colleges. A Medieval college was a hybrid beast; neither a fully secular institution nor a religious one. Like monasteries, they mimicked familial structures and households: a group of men, usually but not always priests, who lived and celebrated the Mass together. Sometimes, and in addition to being concerned what was called the opus dei, the round of Masses and other religious services, they also provided education. Oxbridge colleges were of that type, having both teaching responsibilities along with religious ones. The college I’m concerned with, based around the chapel of the same name in the palace of Westminster, had a staff of about forty, including boy choristers who received an education. So in an all-male institution why am I talking about women? 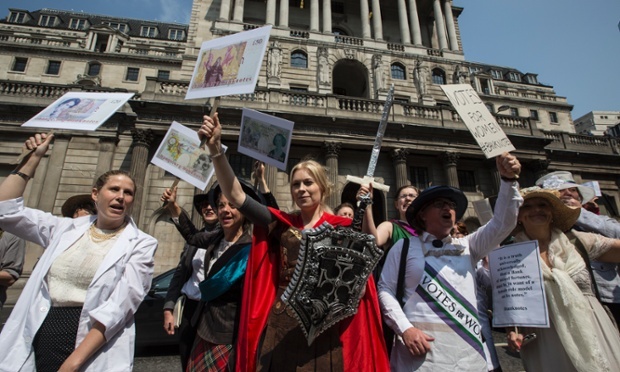 Women are easily written out of the story of late-Medieval English politics. You just need to look at the uncomfortable reaction of contemporaries and historians alike when Queen Margaret of Anjou and Queen Elizabeth Woodville are discussed, predominantly because they dared to wield ‘male’ forms of power. St Stephen’s was a political institution, the senior staff of St Stephen’s usually held political or civil-servant roles. They are the kinds of people talked about when historians write about politics in this period. By looking at the women involved in this college we can start to revise our understandings of women in politics during the medieval period. A dramatic case study at St Stephen’s in the early 1440s involves Eleanor Cobham, duchess of Gloucester. She was the wife of Humphrey, Duke of Gloucester, the young king Henry VI’s uncle and head of the council that was ruling England at the time. Henry VI was not yet an adult, so his uncle and aunt were important figures at court. She was accused of witchcraft, for conspiring with a canon of St Stephen’s to produce a horoscope for Henry VI which said that he would be seriously ill in 1441. Her trial was held at St Stephen’s itself, in the grand chapel decorated with pictures of Edward III’s family, including his daughters and wife. 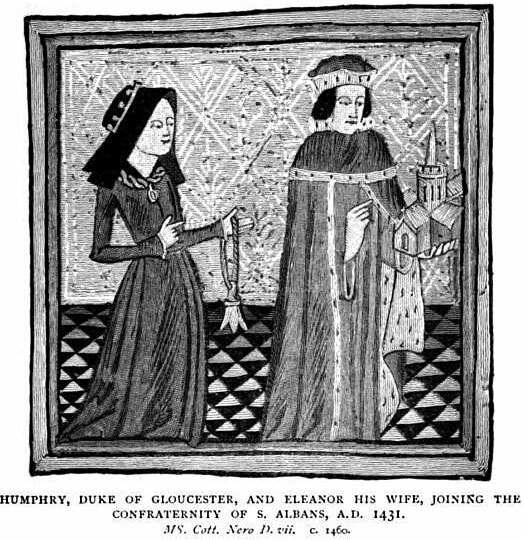 Condemned to imprisonment for the rest of her life and divorced against her will from Humphrey, Eleanor was to spend the rest of her life in castles far from London. Her ultimate downfall was to help her husband’s enemies have him executed six years later. Yet we can see that as Humphrey’s wife, Eleanor was involved with politics and her choices did have impact, even if it was not the impact she intended. In St Stephen’s she would have seen the images of Queen Philippa and her daughters. As royal women, with access to the king and lands of their own, they too played political roles, and they too would have known and been respected by the canons of St Stephen’s. Less exalted women also interacted with St Stephen’s and its staff. For example, women could own land and property in their own right. John Gunthorpe, a canon in the 1470s, left land and money in his will to his sister, Helen. She was married, and her husband was probably still alive, but the land went to her specifically and gave her some economic independence from him. Land and money could also be given by women acting on their own. For example, Margaret Swyffte, who was from Westminster, then a relatively prosperous town next door to London, gave money to the college so that every year on the anniversary of her death, they would say a mass for her. This obit (remembrance mass) was a customary thing to do, and you generally asked for an obit in a church that you had some connection to. I don’t yet know why Margaret was attached to St Stephen’s, but her presence in their records is a reminder that women could have active roles in managing land and money, roles which we think of as the preserve of men in this period. It is so easy to look at the vast numbers of male names linked to the college. What is perhaps more interesting is to look very carefully at the women who turn up in the records and think about their own activities and the possibilities open to them. 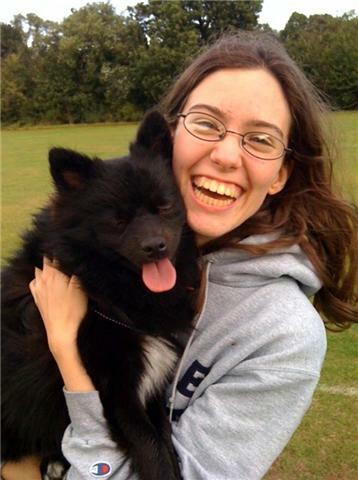 Elizabeth is a first-year PhD student at the University of York working on a whole variety of topics from diplomacy to building logistics and careers in the church, trying to understand a particular institution, the College of St Stephen’s in Westminster during its late Medieval existence.